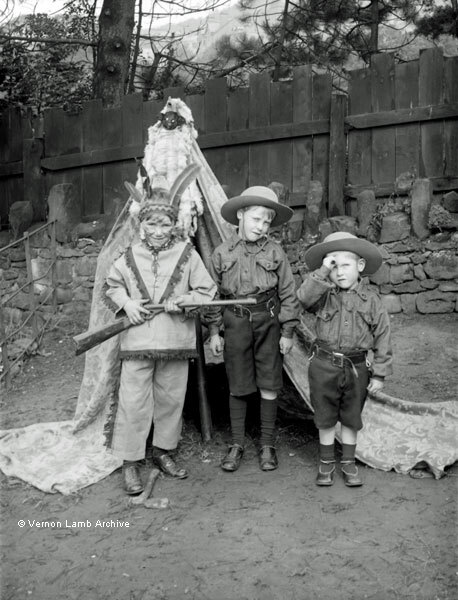 Description/Historical Information: Three young boys, dressed as cowboys and Red Indian (with war paint). Red Indian is holding toy rifle. Tomahawk on the ground. Home made teepee behind them, made from a curtain and with a toy dog at the top [also see VLA5224, VLA5225, VLA5226, VLA5227 and VLA5228].